Published at 1024 × 684 in Green Article : Protect Mother Earth Ecological Balance. 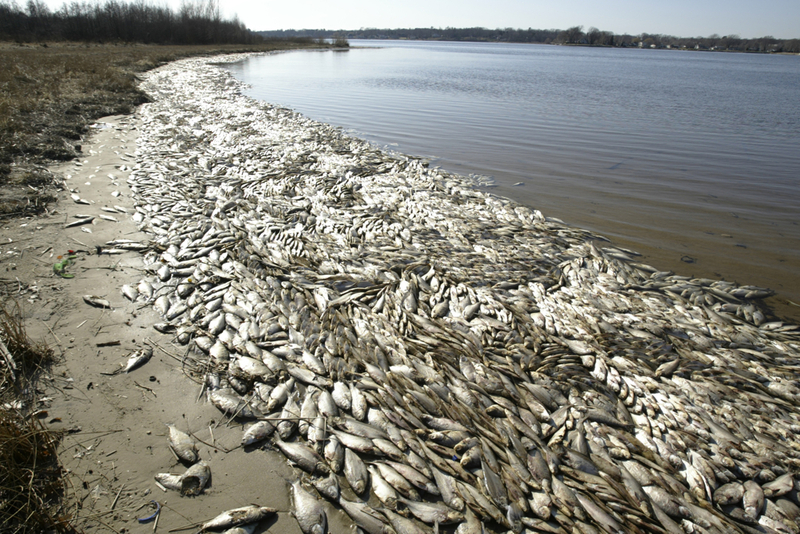 Dead fish float on the shoreline of Mona Lake along Wellesley Drive just east of Ross Park in Norton Shores Wednesday. Date shot: 4/2/08.